Young player, 5 year contract. Haven't see any of him, so can't really comment. Young & obviously highly rated to be spending over £20m on him. 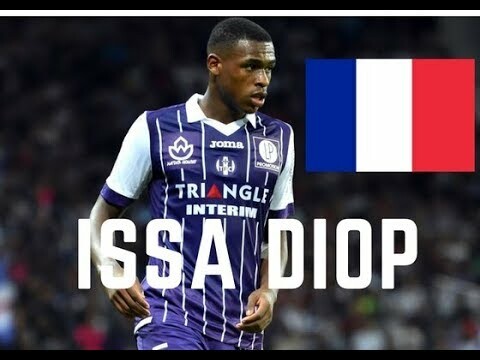 Lots of top teams have supposedly been tracking Diop such as Arsenal, Tottenham, Inter and even Barcelona! I don’t think anyone here has seen him play but hopefully he’s good. There are often different figures quoted for transfers, sometimes net of add-ons, sometimes gross. If Arnie was £20m+£5m, then Diop is either more than £20m net, or more than £25m gross. Maybe it was a club record for a defender. And so it’s started. How about two birds, one stone. Issa ti-Di Op-eration to have stolen in ahead of the likes of Barcelona. According to my French friend..
Sky say we paid £22M for him, but Arnie could cost more when the add-ons kick in (£20m he cost last summer). Can’t believe @Everton have just lost out on diop to West Ham! Haven't seen him play, but seems very well regarded. Big, strong, quick, good on the ball, and only 21. Pretty sure he's cost more than every other current defender and keeper put together, but if he lives up to expectations he'll be worth at least twice that in 2 years time. ;clap Welcome to our great club. Got to be pleased with that, have to have some trust that those in the know have seen him play and recognize his potential. Welcome, Issa to our beloved West Ham. Also, nothing from Sullivan quoted anywhere, just the DOF.